An In-depth Book Review of this book was first published here on 9th May 2010. Summary review: This is the first ever book written by an RHS gold medal winning artist to deal in depth with the execution of botanical art in coloured pencils to exhibition standard. 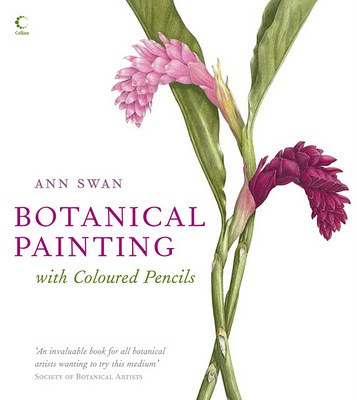 It's an invaluable guide to those wanting to develop their skills in using coloured pencils for botanical art. 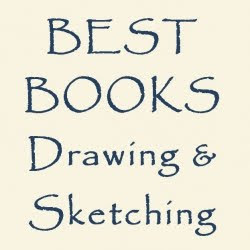 It's also an extremely useful resource for all coloured pencil artists wanting to achieve the very high standards of execution achieved by both Ann Swan and her students. Since I was studing for my SBA assignment in coloured pencils in 2005 ,I found out Ann Sawn artist and look her weeb syte. I was surprise as it was the only artist to put few teacing instruction in her cyto. This means she is always for the botanical artist improving. So I learnt something indirectly from her. I do appreciate her very much and thanks to you to let me know this new book I'm going to purchase. I love your review and agree with it. Overall, it is a great book. As to the title differences, I wonder if most Americans don't consider it painting with colored pencil. I know that they keep making the point in the botanical illustration classes I've been taking that colored pencil IS painting.